Thinking of volunteering at a wildlife sanctuary? Ask these questions first. 1. What kind of animals are at the facility? If the sanctuary has [threatened] animals (particularly baby or adult lions and elephants), where did they come from? How did they end up at the sanctuary? Why have they not been returned to the wild or to a conservation area that is more like their natural environment? Cuddling lion cubs might sound like a pretty great way to spend your time, but legitimate sanctuaries should actually limit human-wildlife contact. 2. Can you touch the animals? Animal interactions are a draw-card for volunteers who want to come to Africa and touch or cuddle cubs, baby monkeys and other adorable animals. The controversy over sanctuaries often comes down to how much the animals are used to draw in paying visitors (including volunteers). Reputable organisations will have a minimal or no-contact approach to their wildlife unless the animal is never going to be released (and then you should find out the reasons why that animal will live the remainder of its life at the sanctuary). The main aim of sanctuaries is to rescue, rehabilitate and release as many animals as possible, so those that maintain a hands-off approach are usually the ones keeping these principles in mind. For example, a lion cub that has been kept in an enclosure and handled by hundreds of humans can almost never be successfully released back into the wild. 3. Is there evidence of breeding? Breeding wild animals in captivity can add to the problem of unwanted animals, which sanctuaries were created to solve. 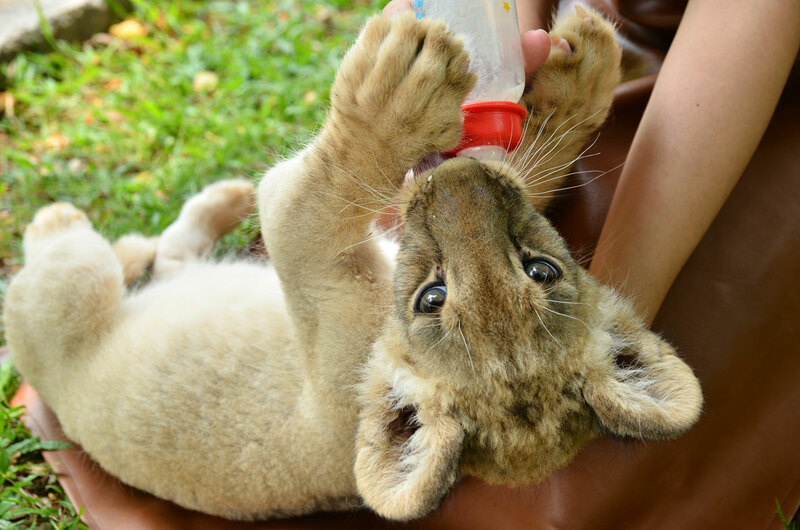 The problem with facilities that allow visitors to interact with cubs and other larger animals is that they need to breed or buy a constant supply to keep visitors coming. And what happens to these cute cubs as they grow up and become too large and unpredictable to interact with tourists? Often, older animals are sold to private hunting conservancies where their habituation to humans makes shooting them much easier. The argument often used in support of captive breeding is that if endangered animals are not bred in captivity, there will be none left. This is flawed and a stance dismissed by most conservationists. What's more, privately bred cats (and other animals) are generally too inbred to be useful in maintaining genetically diverse populations, and to bring new animals to breed with those in captivity is usually prohibitively expensive. So ask your project if they breed their animals and for what purpose. 4. What credentials does it have? Reputable sanctuaries work hard to differentiate themselves from less ethical facilities and most are supported or affiliated with a conservation organisation. Do some digging into the background of your sanctuary project and see who it supports and who its associated with. Look for any positive or negative reviews or scientific case studies that have been written about the volunteer programme or facility. 5. Does it support education? African animals suffer at the hands of humans, and one of the most essential areas where sanctuaries can have an influence is within the local community. 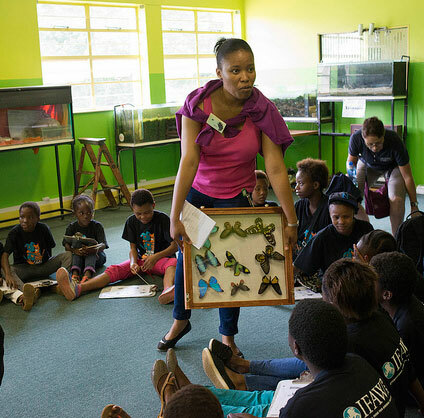 Sanctuaries that take steps to educate communities on animal welfare, as well as the bush meat and exotic pet trades, are usually those that have long-term wildlife conservation at heart. It is only through community education and awareness-raising that attitudes towards the treatment and protection of animals can be changed. 6. What impact do volunteers have on the welfare of the animals? For an animal lover, heading to Africa and working in an animal sanctuary sounds very tempting, and in the right place, with the right support, volunteers can make a positive difference. But there are too many programmes where volunteers support money-making enterprises that have nothing to do with conservation. These projects take animals illegally from the wild and separate babies from their mothers to stock their facility with cute animals for volunteers and tourists to interact with. Well-managed sanctuaries will limit contact with animals, and volunteers will work more on data collection, habitat enrichment and enclosure maintenance, all of which have a positive impact on the lives of the animals at the sanctuary. 7. Is your sanctuary actually a zoo? Sanctuaries, by definition, take in and care for animals that have been abandoned, abused, injured or neglected. The murkiness comes when considering if, when and how these animals can be released or re-homed. Sanctuaries do not, in general, exhibit their animals to the general public or for the benefit of tourists, unless there is a strong educational purpose that will have a long-term benefit for the animals. Zoos, on the other hand, were created specifically to exhibit animals to the public. They collect animals to conduct scientific research, to undertake managed breeding and to show these animals to visitors. Without a doubt, there are excellent zoos doing valuable conservation work, but also many others that keep animals in appalling conditions. So think logically. If you are in doubt about the values of your favoured project, our suggestion is find an alternative that raises no ethical questions. A new landmark ruling in Indonesia gives manta rays a bit of safe swimming space ... six million square kilometres of it! It’s official! A Sumatran rhino living at a sanctuary in Indonesia is pregnant, sparking new hope for this critically endangered species.